Asianet movies channel started showing the promos of indian super league 2017, hotstar and jio tv are the official isl season 2017 live streaming applications. 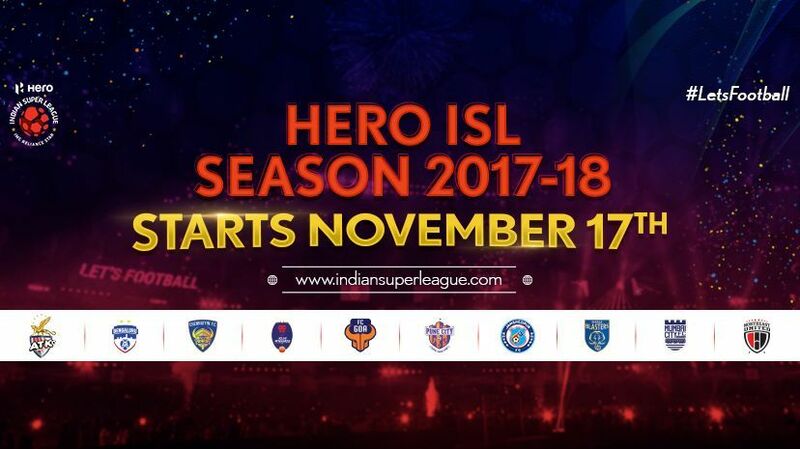 Isl latest season kick starts on 17th november 2017, this time it having long schedule. there are total 95 football matches including semi finals, finals in the latest edition of this indian football tournament. total 10 teams participating and all the teams are bringing top quality players this time. Kerala blasters is the home team of kerala, they are getting tremendous support from keralites. Star network holding the telecast rights of hero isl, they are ready to telecast all the matches with regional commentaries. Asianet movies telecast isl matches with malayalam commentary, star recently started some sports channels. star sports first, star sports kannada are some of them. we can very soon expect star sports malayalam very soon. may be next year they will air indian super league football matches through star sports malayalam. This time we can expect all the matches through asianet movies channel. They will air special discussions before all matches, hope shyju damodaran will continue with this season. These are the official and legal sources for watching ISL Season 2017 Live Streaming through smartphones. We don’t need any special introduction need for hotstar application, we have already published about download/install the same. Hotstar is available for android and other platforms, it’s available in free and premium version. indian super league matches and other sports events currently getting through the same. star network acquired telecast rights of indian premier league aka ipl, which is also available through hotstar application. Jio TV is another option, you need a smartphone having jio 4g sim for enjoying the same.